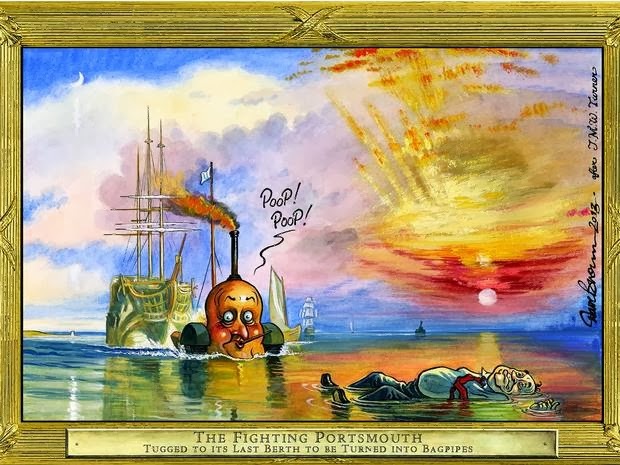 His Rogues’ Gallery cartoon on the Leveson enquiry, The Last, Last, Last Chance Saloon, won the award in 2012, and this year he’s chosen The Fighting Portsmouth, a cartoon on the recent BAE shipyard closure, for his entry. How did you decide on that particular cartoon? I think it’s quite difficult picking a cartoon. The trouble with being a political cartoonist is that a lot of what you do is so ephemeral. A few months removed from the story, which may have faded in people’s memory, a lot of cartoons don’t mean very much. One reason why I picked The Fighting Portsmouth was that it’s still current. You’re also always more pleased with what you’ve done most recently. 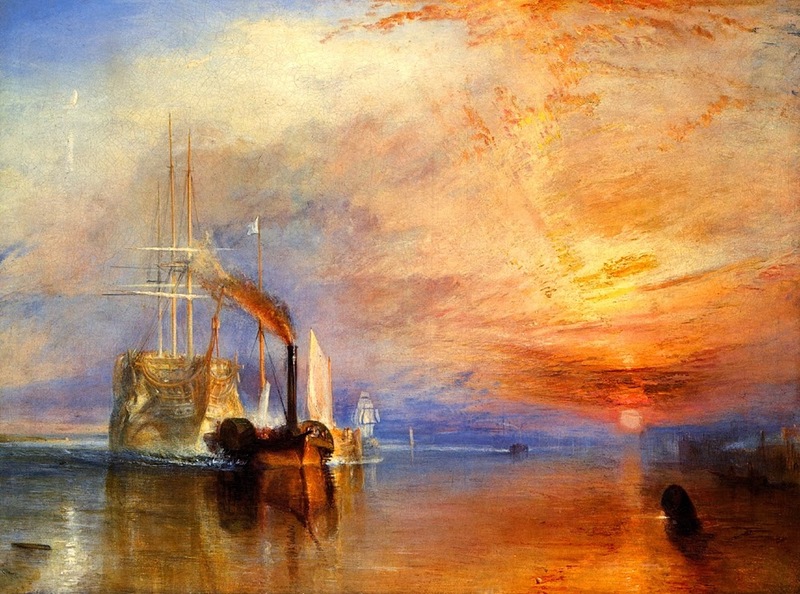 It’s one of the Rogues’ Gallery cartoons so it has an added recognition factor: it’s based on Turner’s The Fighting Temeraire, which is, supposedly, the nation’s most-loved painting. How did you come up with the idea of giving classic paintings a satirical edge? Anything that looks familiar, but which you can turn into something unfamiliar and strange, is a gift – all grist to the mill. It’s a reference point to start with and it’s fun for me. I get to play at being Francis Bacon one week and Caravaggio the next. It’s a political cartoon with its own brand. It has a life of its own. A political cartoonist’s job is to hold up a mirror to the powerful. Seeing that you are one of the leading political cartoonists in the country, have you become part of the establishment you are supposed to lampoon? I hope not, I sit at home wearing old jeans and a black T-shirt covered in Indian ink most days, scratching away at a piece of paper. If that’s the establishment, it doesn’t feel much like it. Cartooning tends to be anti-establishment. To an extent you are a licensed jester but you are never quite on the inside. According to Brown, cartoons can’t change the world, though it might be their intention. The most they might do is influence people who are already leaning towards one’s point of view. Upon reflection, however, he concedes that cartoonists can be a small part of shaping the way people think. Do you have a favourite among your own cartoons that might have done that? There was one I did last year when the Hillsborough Independent Panel’s report came out. There were a lot of pictures of Thatcher walking around Hillsborough with the police a few days after the tragedy, supposedly being briefed on what had happened – which, of course, we now know was a fiction – and who was very happy to swallow it all and blame the Liverpool fans. I did a cartoon of Thatcher down by the corner of the pitch, lifting it up like a carpet as the police swept bodies underneath. I got a lot of favourable responses from people in Liverpool. I was worried about offending the families of the Hillsborough fans; they’d gone through a lot. I don’t usually worry about offending people very much; it’s sort of the job to offend. That makes you feel you’ve done your job properly.